Single Adults gathering on FRIDAY, NOVEMBER 2nd at 8:00PM in the CLC Multipurpose Room. 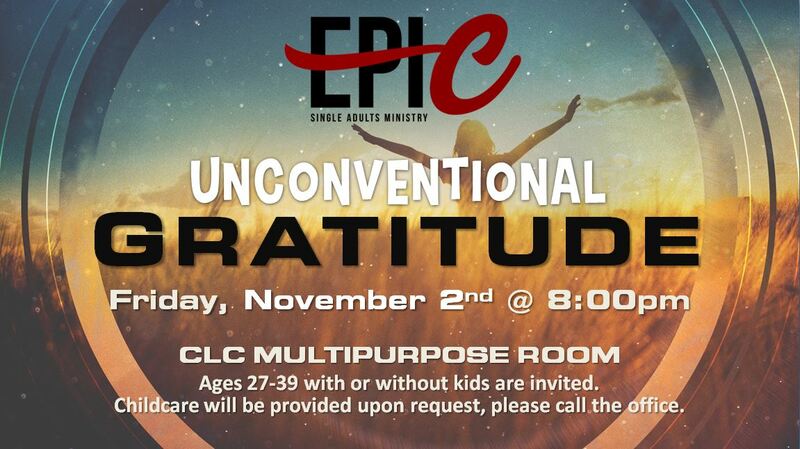 We will share on a topic titled “Unconventional Gratitude”. All single adults ages 27 through 39 (with or without children) are invited. Spread the word!